The loonie was taking another hit in late morning trading today, while North American stock markets showed signs of strength. 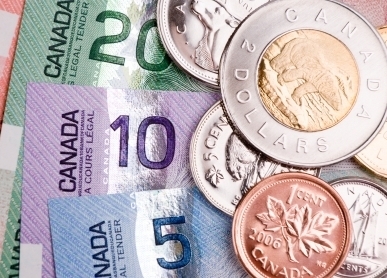 The Canadian dollar was at 76.01 cents US, down 0.40 of a U.S. cent. That comes after the currency lost 0.35 of a cent on Monday. Last week, the loonie was trading at its highest levels in nearly five months. In Toronto, the S&P/TSX composite index was up 57.19 points at 15,514.13, after 90 minutes of trading. In New York, the Dow Jones industrial average gained 80.65 points at 20,133.07. The S&P 500 added 6.14 points at 2,298.70 and the Nasdaq composite rose 24.27 points at 5,687.82. The March crude contract was down 78 cents per barrel at US$52.23 per barrel and March natural gas was up eight cents at US$3.13 per mmBTU. April gold rose $3.80 to US$1,235.90 an ounce and March copper contracts fell one cent to US$2.64 a pound.